Along with all the benefits that the internet has brought with it, there are also a considerable number of risks. One of the greatest of these is the rapidly expanding rate of so-called cyber-crime. It takes many forms but all have one thing in common and that is that tracking down the culprits can be very difficult indeed, if not impossible. They’re particularly drawn to areas where substantial sums of money may be changing hands such as online banking and, increasingly, online gaming. But by following a few simple steps you can help yourself to avoid becoming the next victim by staying safe and secure when playing roulette online. The very first step that you should take is to make sure that your anti-virus and security software is high quality and fully up to date because, without it, you’re exposing yourself to risk every single time you go online. Top brands to consider include McAfee, Norton and Avast. They’re also available for mobiles and tablets which could be equally in danger of picking up a virus or other spyware. Once you’re sure that you’ve all the online protection you need you should think very carefully about which online casinos you choose to play on. If they seem to be offering bonuses and other incentives that are unbelievably attractive the chances are that you shouldn’t believe them. 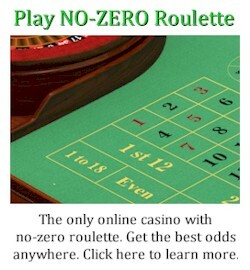 It’s a far safer idea to stick to roulette with casinos that are reputable and which you can find being recommended on any of the more respected review sites. 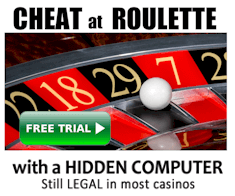 You can also look into who owns the casino site as it should have all of this information as well as its licensing details available for you to see. But it’s important to remember that even the most reputable sites will still pose a security risk if hackers manage to get into their systems and get hold of personal details of players registered with them. So it is essential to make any password that you have as secure as it can possibly be. For a start it should be one you only use for the particular site and it should include letters, numbers and symbols too. If the site needs to have an email address for you it’s also worth setting one up just for your gaming-related communications so any information hackers do manage to get hold of will only be about your online casino activity. Finally, and most importantly, you must always check that the site you’re using has the right safety and security protocols to keep your financial information confidential. 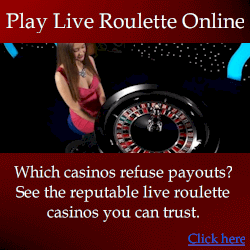 You can discover whether it has by checking that there is a little padlock symbol in the address bar of your browser and that the address starts https://as seen with highly respected online casino sites such as 888casino where you can play roulette online safely. If it doesn’t this is a clear sign that the site may not be 100% legitimate. All reputable sites should also have information about the SSL security encryption that they use with 128 bit being the standard level to look for. So follow all this advice and you should be able to play roulette safe in the knowledge that everything is proper and above board.